Maximize your child’s talents at Gilmour Academy, where we provide an outlet and a canvas from which our students express their authentic voices. Whether they aspire to a career in the arts, enjoy creating and viewing original works as a pastime or simply wish to try something new, our diverse visual arts courses and extracurricular activities give Gilmour Academy students from 18 months to 18 years the opportunity to discover and express their authentic voices. In addition to weekly art and music classes, Montessori Preschool classes partner with the Cleveland Museum of Art for five to six structured visits to the Museum each year. Kindergartners participate in pull-out art and music classes. Grades 1-6 deliver Christmas art shows. 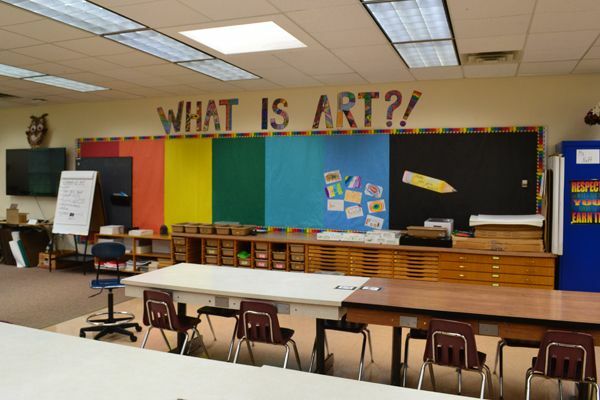 Our new LS art space offers endless opportunities for creativity! During the Middle School’s design block, students have the opportunity to engage creatively, design and build through art or robotics. In 2017-2018, art students collaborated with students from Japan in a recycled art project and created a Chihuly-inspired chandelier from recycled water bottles to hang in the Middle School. 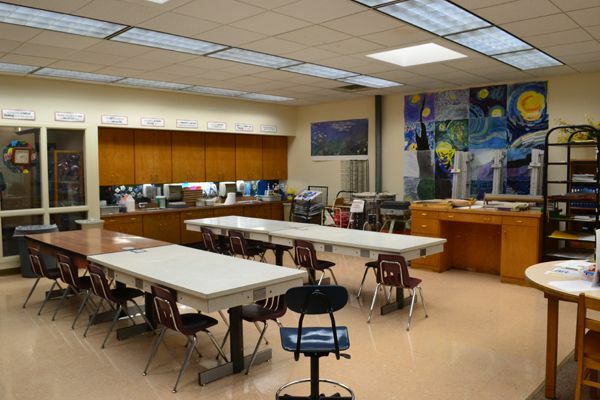 Students choose from a variety of electives including visual art, architecture, textiles & jewelry, photography and much more.